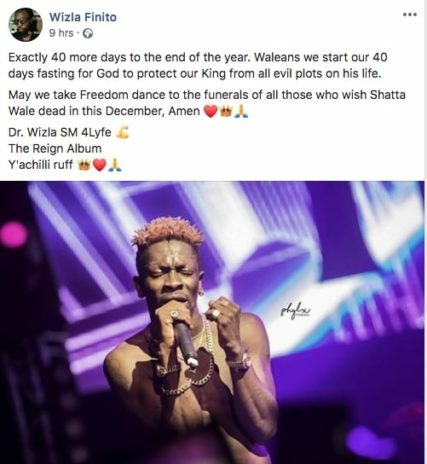 Fans of Dancehall King in Africa Shatta Wale have declared a 40 days fasting and prayer session to pray for their boss Shatta Wale whom a prophet has prophecy that would die in December. According to one of biggest followers of SM known as Wizla Finito, stated that the fasting was put in place for God to protect their King from all evil plots on his life. “Exactly 40 more days to the end of the year. Waleans we start our 40 days fasting for God to protect our King from all evil plots on his life. May we take Freedom dance to the funerals of all those who wish Shatta Wale dead in this December, Amen ?? ?“.